Make sure your metal machined parts perform their best with our patented process. We have been supporting the 3D printing industry since its inception with machined parts that are surface finished and polished down to the microscopic level. We have processed every material from aluminum to Inconel. Contact us today for a free estimate by calling (562) 531-2976 or by using this form. We originally invented our patented process to serve the aerospace industry, so it’s perfectly suited to achieve the ideal results necessary for precise aerospace machinery. Your metal machined parts will perform optimally after undergoing extrude honing. Each application of the process is carefully calibrated to achieve ideal results, and it’s totally repeatable, so if you have just one part or thousands, we can make it happen. Give us a call to get your free estimate today at (562) 531-2976. Enhance the performance of your automotive engines with AFM. We have been applying it to automotive parts for over 30 years, and you’ll notice an improvement in fuel and air flow up to 25% after extrude honing is complete. Your vehicle will perform better, have better fuel efficiency, and cleaner exhaust emissions when you send the intake manifold and other keys parts to Extrude Hone AFM. Call (562) 531-2976 to get your custom estimate now. Our process is used by more than half of all manufacturers worldwide to achieve precision through passage dies. It’s the most effective, efficient way to process dies, molds, and gears. Processing them requires far less time and energy than traditional methods. 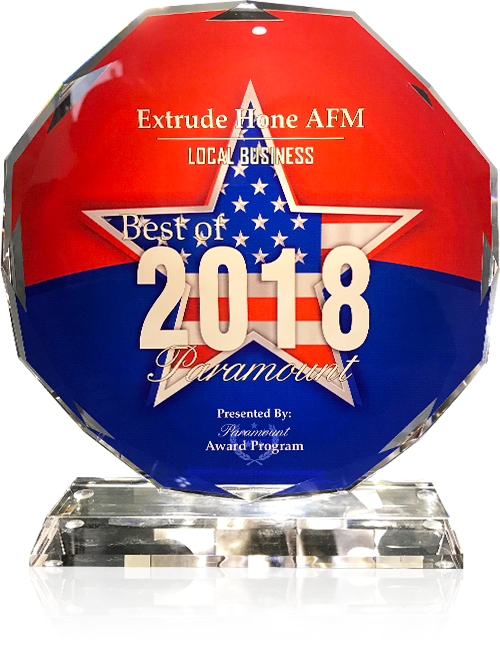 Find out for yourself why so many manufacturers have relied on Extrude Hone AFM for dies, molds, and gears – contact us now. Extrude Hone AFM is ideal for removing EDM’s recast layer from molds, dies, and other parts machined by this method. 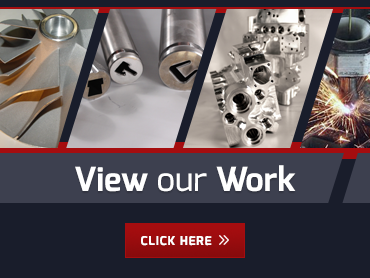 Whether you have a few parts or a few thousands parts, we’ll specially calibrate our process to achieve ideal results and consistently provide the precise EDM recast removal you require. Give us a call today to learn more and get your questions answered. Our Ultra Pure process was specifically designed with the food processing industry in mind. This surface finishing and polishing process makes it so machinery is clean and free of even microscopic burrs so all food processed on it is pristine. Hundreds of companies have relied on our process – you should too! Contact us today. Give us a call at (562) 531-2976. We’d be happy to speak with you about our process and intended your application, as well as provide you with a free estimate.